The Cheshire Cat: Oh, you're sure to do that, if only you walk long enough. A paragraph from Lewis Carrol’s ever-pertinent Alice in Wonderland, a book that should be read by every motivational manager on the planet looking to teach staff how to plan ahead. We’ll all get somewhere, eventually, although not necessarily where we set out for in the first place – a sales director’s nightmare. Plan, people, plan. But there are times when just going – nowhere in particular - is all that is needed in life: no pressures, no pre-planned waypoints or destinations, just travelling for the pure joy of travelling. 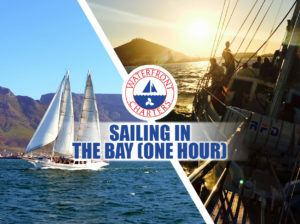 At Waterfront Charters we have the perfect option: Sailing in the Bay. You are sure to get somewhere, but who knows – or really cares - where? You’ll get back. You are aboard a unique twin-masted schooner, feeling the Atlantic swells beneath your feet (or rear, should you be seated.) You might even be perched in the bow on the extended bowsprit – a feeling every person should experience at least once in their lives. You will have a chilled drink in your hand; whether it is supercharged with alcohol or not is entirely up to you. 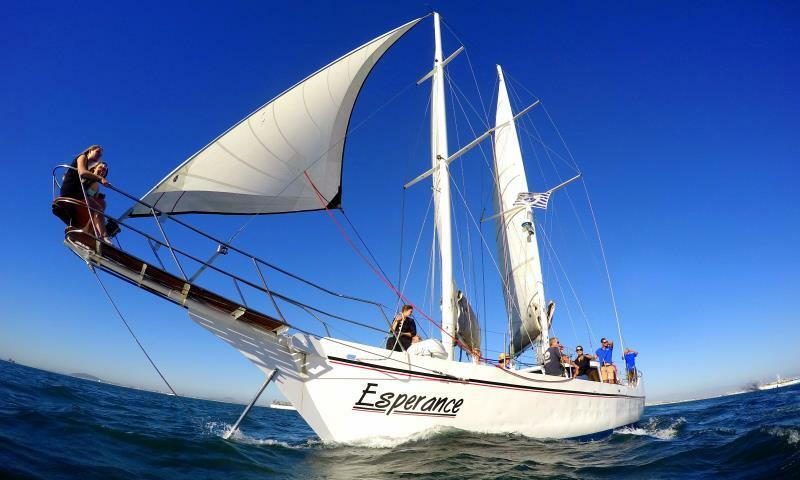 You’ll have a highly experienced skipper and crew to pilot the schooner across Table Bay; you’ll have a selection of like-minded companions to accompany you. 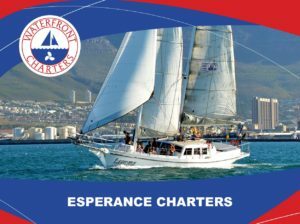 Above all, you will be sailing in a Bay that has History with a capital H, and Views with a capital V.
With Table Mountain behind you as you head out of the harbour, the skipper will make the only decision he needs to make: the routing is weather dependent. 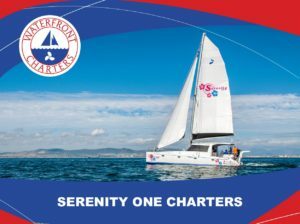 He will set the tiller either towards Milnerton if the south-easter is blowing, or towards Robben Island in north-westerly wind conditions. To those enjoying the moment, this decision is immaterial: either way you’ll have the views of the Bay and the Peninsula that have enthralled mariners since the first Portuguese vessels scudded down the west coast some five hundred years ago. The city is a little more built-up these days perhaps, and the harbour has been subtly improved since the first wooden jetty ran out to sea from just outside the Castle walls, but essentially the overall view remains unchanged: breath-taking. Sailing in the Bay with Waterfront Charters: the perfect way to be, as Talking Heads sang about in the 1980’s, On a Road to Nowhere. Well, a Boat to Nowhere. With a choice a one hour or full-day options; scheduled cruises or charters, you can fulfil all your sailing dreams just…sailing. As one with nature, powered by the wind, surrounded by the ocean’s creatures; you can relax like only someone going nowhere can relax. Noli Illigitimi Carborundum: Find Serenity Instead! Give Your Staff a Sea Change!